Our recently refurbished Deluxe rooms offer comfort and convenience, with space to move. 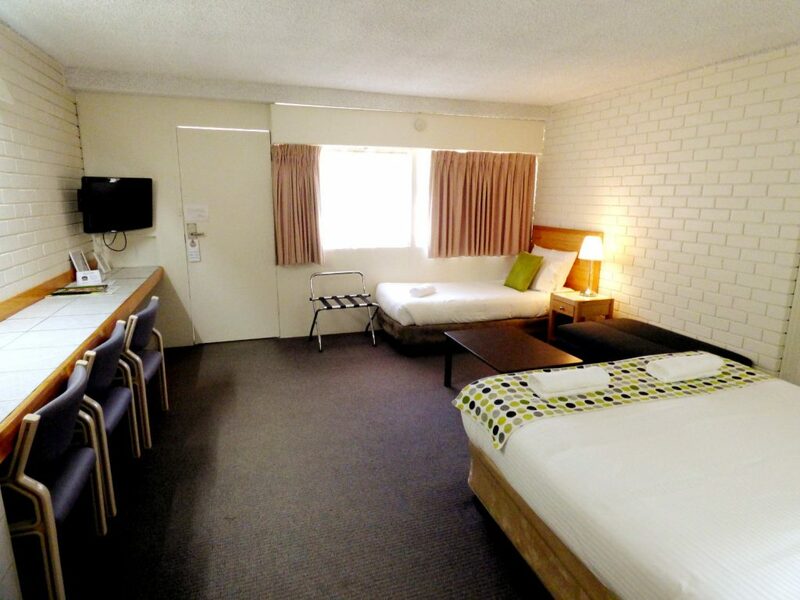 Newly refurbished with reverse-cycle air conditioners, these rooms are spacious and well-appointed, offering our guests a relaxed and peaceful stay at an affordable price. Some of these rooms also have the choice of interconnecting rooms – ideal for larger families or groups requiring extra room – so, if needed, please note this at the time of booking. Choice of ground or first floor units. Cribs or cots available on request. Our wheelchair-accessible accommodation is perfect for seniors and people with disability. Located on the ground floor, the bathroom features a spacious wheelchair accessible shower, with hand rails in the shower and toilet. Room Facilities: Tea/Coffee making facilities, Toaster, Microwave, Fridge, RC Air conditioning, Desk, Ironing facilities, Hairdryer, Toiletries, Clock radio, TV, DVD player. We provide free Onsite Parking, however we cannot guarantee room-front parking during busy periods. 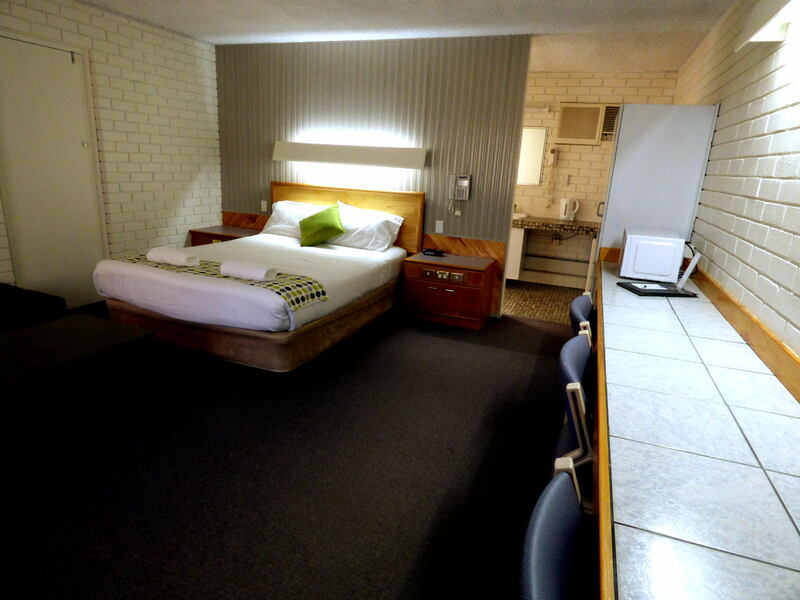 All rooms, undercover outdoor areas, and the pool area, at Wanderlight Motor Inn are strictly SMOKE FREE zones. Designated Smoking Areas are available.